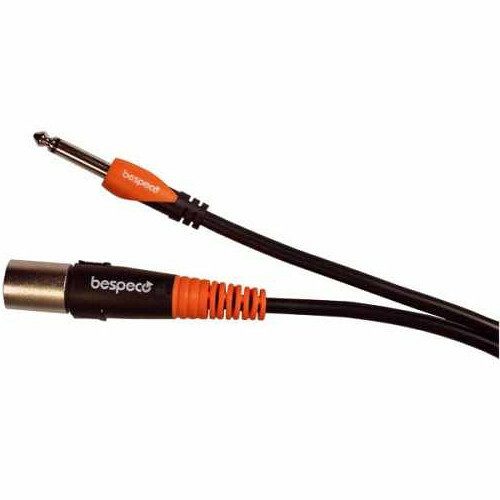 The black and orange Bespeco SLJM100 1/4" TS Phone Male to XLR Male - Unbalanced Active Speaker Cable is a 3.2' audio cable that is ideal for applications where an active speaker or a device with an XLR input needs to be connected to a device with an unbalanced 1/4" phone output. The SLJM100 cable is shielded to reduce the effects of electromagnetic interference and features durable, molded connectors. Box Dimensions (LxWxH) 9.0 x 4.0 x 1.3"